This week officially marks the start of the 2013 Closed course racing season for North America with the first round of the Pro Hydro-X Tour, Presented by Sea-Doo begins this weekend in Gulfport, Florida. The Sea-Doo X-TEAM is back in action after a dominating end of the 2012 season at the IJSBA World Finals and 2013 looks to pick up in the same fashion with the high-performance Sea-Doo RXP-X with T3 hull and ErgoLock system coming into its sophomore year. It has been a long winter and racers are eager to get the season started this weekend . This weekend the Pro Hydro-X Tour kicks off 2013 racing in Gulfport, Florida. April 6-7 the City of Gulfport and the Gulfport area Chamber of Commerce will open their city up for the first time to personal watercraft racing, welcoming racers from all over the US. Sea-Doo mounted racers will be able to compete for additional funds through the Sea-Doo Big Bucks Bounty racer contingency program where top finishing racers can gain up to $800 per class in additional prize money. The Sea-Doo Bounty is the only program of its kind in the watercraft industry as BRP is the leading supporter of PWC racing. Gulfport Aquamania is the first race of a the five round Region 7 (South Eastern US) Series ending in beautiful Islamorada, Florida in September. 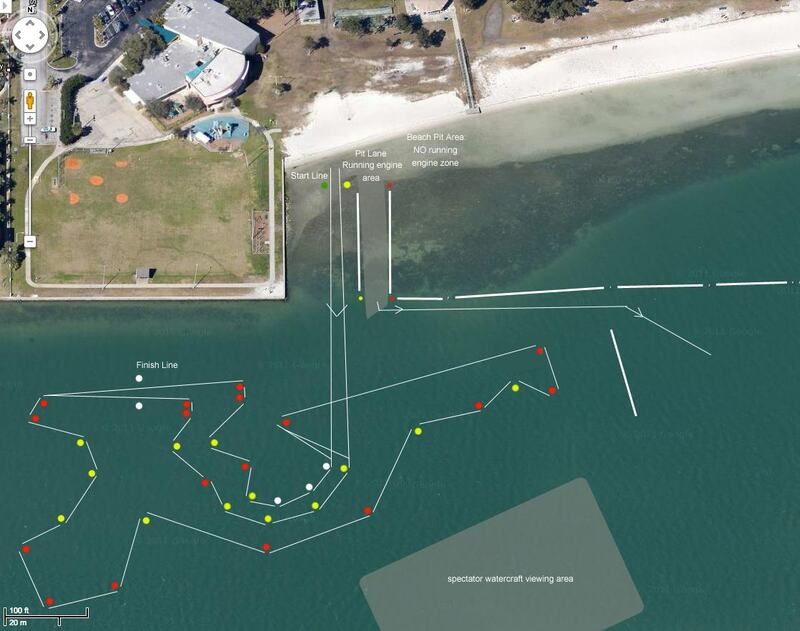 The courses will emulate National Tour and World finals courses providing world class action on the water. Racers and spectators will be able to buy sponsors’ gear and apparel on site and get a look at some of RIVA Racings newest “go fast” parts for sea-doo watercraft at the Kaotik Products registration area. So come on out this weekend, April 6-7 and enjoy a great Florida beach and some of the best and most competitive racing in the country. See you in Gulfport! For more information on personal watercraft racing visit the IJSBA (International Jet Sport Boating Association) website.